The opposition Grand Alliance on Sunday announced the seat-sharing deal. No RJD representative was present at the joint press conference. 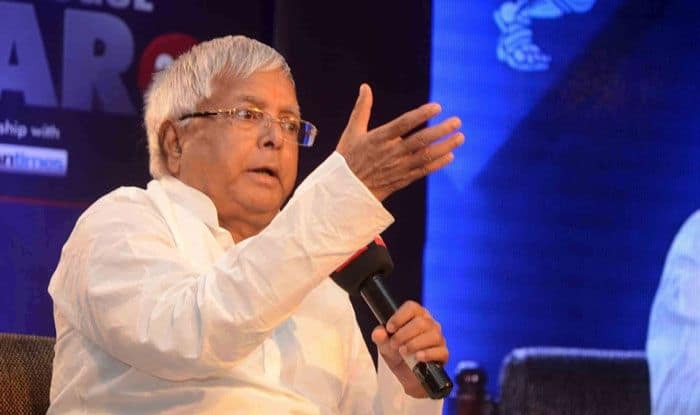 There was a time when prominent leaders of the UPA in Jharkhand would often visit RJD chief Lalu Prasad but now the party has been left fending for itself in the state. The RJD chief once played the role of a kingmaker in Jharkhand. He was instrumental in the formation of the Madhu Koda government in 2006 and also played a key role when a JMM government led by Shibu Soren took office in 2009. But in this Lok Sabha election, the other opposition parties have cold-shouldered the Rashtriya Janata Dal (RJD). The RJD wanted to fight the Palamau and Chatra Lok Sabha seats. But as per the seat-sharing deal, the RJD was offered Chatra seat and the Jharkhand Vilas Morcha-Prajtantrik (JVM-P) Koderma and Palamau seats. The JVM-P declined to fight from Palamau as it wanted to contest from Godda. Considering the demand of the JVM-P, the alliance partners agreed to give Godda and Koderma seats to JVM-P and Chatra was given to the Congress. It was only after that the RJD was offered Palamau. RJD sources said the party had almost finalised the name of Subhash Yadav, a leader from Bihar, for the Chatra seat. The RJD suffered another jolt when Jharkhand RJD chief Annapurna Devi joined the BJP in New Delhi. This has come as a shock for the RJD in Jharkhand where Annapurna Devi was its face. She had won the Assembly polls four times. She is the wife of late Ramesh Prasad Yadav, who was a Minister in undivided Bihar in the Lalu Prasad government. After his death in 1996, Annapurna Devi fought the Assembly polls from Koderma and won the seat till 2014. The RJD, however, is putting up a brave front. “There will be no impact on the party due to the exit of Annapurna Devi. People come and go. We reiterate our demand to contest from both Chatra and Palamau seats,” Gautam Sagar Rana, the new President of the Jharkhand RJD, told reporters on Tuesday. The party had fought from Palamau seat in the 2014 Lok Sabha elections but lost. In the Assembly polls, the RJD failed to open an account. The RJD won seven seats in the 2009 state polls.